If I am not traveling, I love to stay home. I really prefer not to go out and have fun. But I’m trying to be less antisocial, so I said yes when my friend Terri invited me to go listen to travel writer Tim Cahill at San Jose State University (SJS) tonight. 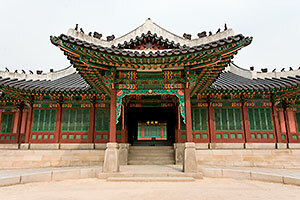 Terri is taking a travel writing class with Cahill as part of her MFA creative writing program. He is the current Lurie Distinguished Visiting Writer at SJS, and his reading tonight was the culmination of SJS’ Center for Literary Arts season. Thank goodness I decided to go. 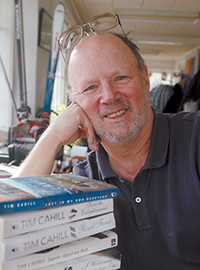 I had heard of Tim Cahill, but I’ve never read any of his work. I just knew he was a travel writer, which turns out to be a bit of an inadequate description. His adventures are at once relatable and exotic. One of the pieces he read tonight was about the “bug scream“, a sound I have undoubtedly emitted far more often than the not so squeamish Mr. Cahill. The story had me cringing and laughing my head off at the same time. 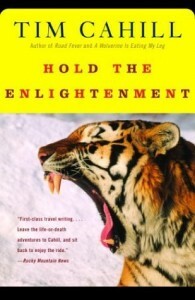 Another piece about yoga, from Hold the Enlightenment, was equally captivating. I loved his jolly cynicism and vivid descriptions. This is the kind of travel writing I aspire to, but I suspect I am slightly too lazy to even come close. Of course all this made me want to run right out and buy every single one of his books, an impossibility given that Stephen has banned me from bringing any more books into the house. I did check BookMooch, but he is a popular fellow and not one book was available to mooch. Looks like I’ll be heading to the library, although I might try to download one on my iPad when it arrives Friday. His books may be a little too dangerous to read on the train though, because I have no doubt I will be guffawing like an idiot. As excited as I am to read more of Cahill’s work, I would say that hearing him read in person is the real treat. The story of the entranced duck is even better when you get to hear his duck imitation. If you get the chance to attend one of his readings, don’t miss the opportunity.